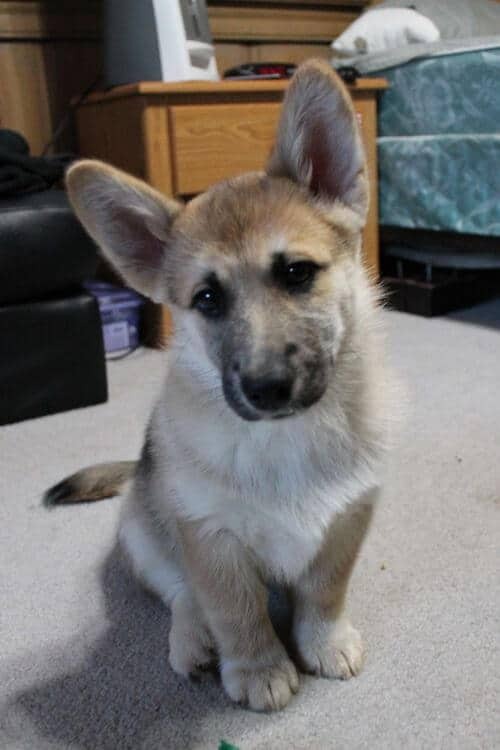 The Corgi German Shepherd mix, also known as the Corman is one of the cutest dog breeds in the world today. It is basically a dog lover’s dream. Follow me as we take an in-depth look at the Corman, with regard to its temperament, appearance, and health concerns among others. 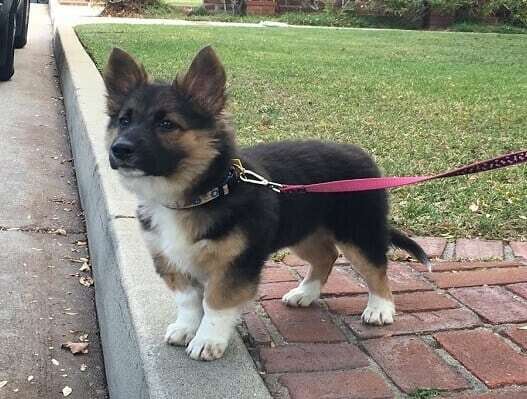 This dog breed is a mix of a Welsh Corgi and a German Shepherd. To the casual observer, this might sound a bit unusual, seeing as to how the Welsh Corgi is a small breed and the German Shepherd is rather large. The crossbreed that is the Corgi German Shepherd mix, however, is a very real hybrid or designer dog that exhibits a lot of intelligence and loyalty, which are very desirable traits to have in a dog. It is also easy with children and makes a lovely pet for a household with children 5 years or younger. What does the Corman look like? 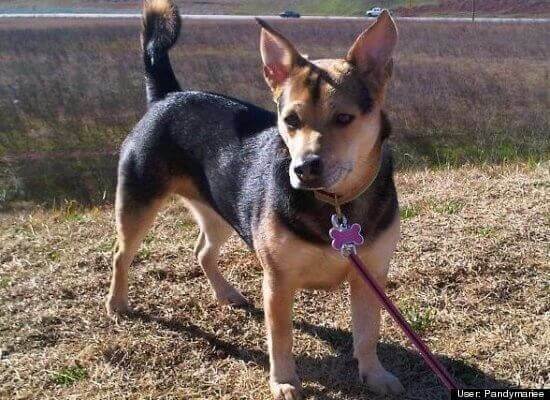 Now that you know what a Corgi German Shepherd mix is, let us explore what it looks like. The Corman is a short to medium-sized dog, coming in at 12 to 15 inches in height. This is in comparison to the larger of the breed’s mix, the German Shepherd, which is typically between 22 and 24 inches tall. It is golden in color, with markings of black and white littering the coat at different places. The coat itself is dense, with thick hair that is between short and medium length. It needs one grooming session a day and is a moderate shedder in comparison to other breeds. 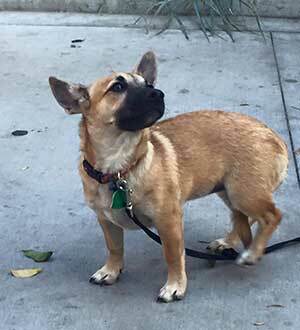 The Corgi German Shepherd mix is rather quiet and has a low bark frequency. It also interacts well with other household pets, which makes it ideal for anyone with a bird or a cat. Their main health concern is bloat, which we will look at later on in the article. The Corman is very easy to train as is the case with some of the crossbred species of dog. The space requirements for raising a Corgi German Shepherd mix are not excessive, with the dog requiring just a house with a yard. What are the recognizable physical traits? Having looked at the general appearance of the Corman, we need to have a look at the various physical traits that are unique to this breed of dog. To do this in a manner that will not put you to sleep, we shall break them down into small chunks that are easy to digest. As we have seen in this article already, the Corman is the perfect mix of both dominant dog breeds when it comes to the coat. The coat color incorporates shades of black, white, golden and brown, depending on the parents. Golds and browns are however more common. The coat is also medium density with shorter hairs noted. The shedding is also moderate compared to most dog breeds, making this an easy to maintain dog with regard to grooming. For this part, we shall have to look at the neck, the body, and the topline. To start with, the Corgi German Shepherd mix has a fairly long neck which overall balances with the overall length of the dog. It is clean, slightly arched and blends well with the shoulders. A bad breed either has a very short neck making it look stuffy, or a long thin neck. These are things to look out for. The body should have a well-sprung ribcage that has a moderately long egg-shaped look. It should also taper slightly at the end of the loin. Signs of a bad crossbreed when it comes to the body include a short loin, a round or flat ribcage and a distinct lack of brisket. Finally, the topline should be firm and level. A tiny depression behind the shoulders is acceptable. This is caused by having a heavy neck coat that blends into a shorter body coat. The topline should also not be riding up or falling away from the coup. All the other characteristics being considered under this segment are actually part of the overall body appearance. 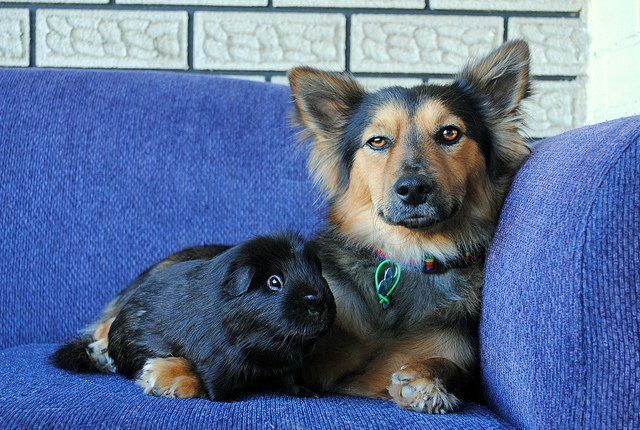 The difference is that lumping them together would make it harder for anyone for whom it is the first time looking at a Corgi German Shepherd mix, to notice certain things. The head looks like a fox’s in both shape and appearance with a muzzle that qualifies for neither dish-faced nor roman-nosed. The skull is flat between the ears and can be considered fairly wide. A Corman has a rather broad chest that tapers into a deep brisket that lets down well between the front legs. The body should look like it is a little too heavy for a dog of this size, but not so heavy that it is a burden that makes the dog lose its agility. The hindquarters of a Corgi German Shepherd mix should look like they have the power to make sure the low dog breed makes it over obstacles and rough terrain. The feet are slightly smaller and point straight ahead, with the front tapering into an oval shape. The Welsh Corgi (Corgi mix) and the German Shepherd are both dogs that are known for their rather calm demeanor and great temperament. They are also both intelligent dogs. Both characteristics translate to the crossbred offspring, resulting in a bold, intelligent and happy dog that likes to be very active. This dog should not be left untrained or improperly socialized as he may try to run the household. Being a highly active crossbreed, this dog should not be left alone for long, as he is prone to looking for other ways to keep himself occupied. This usually results in the destruction of certain household items such as the couch and chewing of appliance cables. When taken care of though, this is a breed of dog that is sweet and happy. It loves attention and is both incredibly loyal and exceptionally dedicated. The Corman’s temperament makes it the perfect family dog, as it is able to withstand the general nuisance that is young children. This can be cemented by making sure your dog grows up around children and is socialized to tolerate them. This is a dog that does very well with other pets, as long as they are not dogs. It can comfortably live with chameleons, birds and even cats, but acts up when forced to live with other dogs. This is unless the two grew up together from the moment they were puppies. Although the Corman is generally a healthy dog, there are health concerns as is true of all other pets. 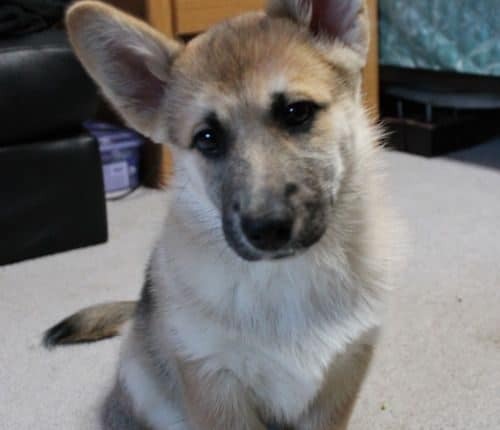 The main health concerns that have been noted on the Corgi German Shepherd mix is bloat, allergies, back pain, joint problems and problems with eyesight that manifest with age. The bloat comes from the Corgi heritage of the Corman and occurs when the dog’s stomach twists in various places inside the dog. This leads to excruciating pain for the dog that can be characterized by wailing. Other symptoms include restlessness and irritability. Joint problems manifest in the form of dysplasia. This is a very painful condition where the elbow joint in your dog randomly pops in and out of place. This can be very painful for your dog, leading to extreme discomfort and irritability. Sometimes, your Corman can get afflicted with eyesight problems. This is a condition that is called cataracts. This condition often starts at birth and gradually worsens as the dog grows older, progressively leading to blindness. 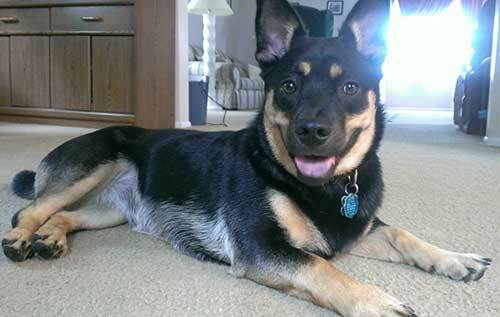 Finally, one of the other major problems that may affect your Corgi German Shepherd mix is allergies. These can be caused by various things, including environmental changes, pollen, dust and chemicals in the atmosphere. Although the symptoms may mimic those of humans, they are harder to pinpoint. There are other conditions, although these are of a somewhat smaller occurrence rate. They include the Slipped Disc Syndrome (SDS) where the discs in the spine slip out of place. This causes acute pain in your dog, especially in the legs and back regions. Like all other household pets, the Corgi German Shepherd mix does require certain irreducible minimums in terms of care. To make this easier for you to follow, we shall split it into the Corman’s separate needs. Feeding: The Corman enjoys dry food at best, without putting into account treats. Since this is a small dog, the feeding requirements are not that stringent. Your dog will typically consume between 2 and 4 cups of dry food a day. Feeding Plan: Feeding plans for dogs are important since they prevent obesity and food-related diseases. The optimum feeding plan for your Corgi German Shepherd mix is to make sure that the 2 to 4 cups of dry dog food is served in portions. The portions should be divided into thirds, throughout the day. Exercise: as exhibited by the parent breeds, the Corman is a very active breed. It requires a lot more exercise than most dog breeds and this means more walks. It, however, is the perfect jog buddies for most people. Vaccinations: Like all pet breeds, the Corgi German Shepherd mix requires to be vaccinated against various pathogens and diseases such as rabies. These are done between weeks 8 and 10. Booster shots are administered 12 months after their first vaccinations. Love and attention: They require this on the regular lest they fall into depression and moodiness. A toy: This should preferably be squeaky and fun to play with. If you are a Corman owner, we would love to hear from you in the comment section. We have a gorgeous dog that we rescued from Romania, we think she’s a corman shepherd. Really loving dog. Sheds quite a bit though.